Keeping your DJI Phantom 3 firmware updated is extremely important. Firmware updates contain fixes for bugs, add new features and make improvements. With the Phantom 3, you update both the quadcopter and remote controller with the same firmware file. Since the release of the new Phantom 3 Professional and Advanced models in April, there are been 4 firmware releases. Each of these firmware releases fixed bugs, issues and added new features. In this post, all the instructions, best practices and tips on how to successfully update the firmware on your Phantoms 3 along with the Remote Controller. Please note that the Phantom 4 firmware update uses an easier process using either the DJI Go or DJI Assistant 2 app. Here is the process to upgrade the firmware on the Phantom 3, the remote controller and also the battery. Download the latest Phantom 3 firmware update package from the official DJI website onto your computer or laptop. Double check and insure that you download the correct firmware for your Phantom 3. Insert your SD card into your computer. Extract the firmware package into the root directory of the SD card. That’s one of the main reasons to have a clean SD card with nothing else on it. Remove the SD card from your computer. Ensure that both the aircraft and remote controller is powered off. Insert the SD card into the SD card slot on the Phantom 3 camera. Next power on the aircraft. The firmware upgrade will begin automatically after your quadcopter is powered on. It will take roughly 25 minutes to complete the firmware update. The camera status light will blink green and red to indicate the upgrade is happening. It will stop blinking when the update is complete and successful. Check the upgrade status to insure the firmware update was successful. Remove the SD card from the Phantom 3. Insert it back into your computer and open the “.txt” file that is automatically generated after the update. If the update is successful you will see “result: success” in the document. In the Pilot App you will also see that the firmware is now at the latest version. If at the end of the update and the camera indicator shows solid red, then the update more than likely has failed. Check the .txt files on the SD card. It will give the “result: failed”. Try upgrading the firmware again. Before updating the Phantom 3 Remote Controller, check and ensure that the DJI GO app has been updated to the latest version. As of July 2016 the DJI GO version is v2.8.2. You will know if there is a GO app firmware update available as the System Status bar in Camera View will flash several times. Follow through on these steps to update the firmware on the DJI GO App. Take all the necessary best practices as described above. So check battery, SD card, Internet connection etc before starting. 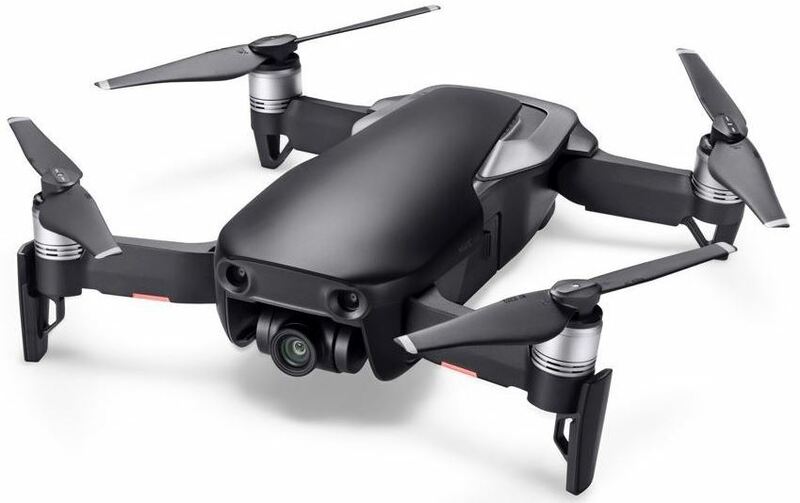 NOTE: It is a great idea to remove the “Result: Success / Failed” text file from the SD card after the quadcopter update and before starting the Remote Controller update. 1. Downloaded and install the latest DJI GO App from either Google Play or the Apple App store. 2. In the DJI GO App, go to “Camera View, System Status bar, Overall Status”. Tap “Download the firmware update” package to download and update the firmware. You can follow the update progress from the progress bar in the DJI GO App. The status LED on the remote controller will blink blue during update and when completed and successful, it will blink green. 1. 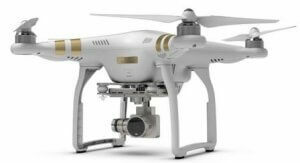 Download the latest Phantom 3 firmware. The quadcopter and remote controller use the same firmware. 2. Extract the downloaded firmware package onto the root directory of a clean SD card or USB flash drive. 3. Turn off the remote controller. Insert the SD card onto the remote controller USB port. 4. Switch back on the remote controller. Next, wait approximately 60 seconds until the upgrade begins. Do not power off the remote controller during the update. 5. The Phantom 3 remote controller firmware update will take roughly 10 minutes to complete. The Status LED on the remote controller will show a solid blue to indicate the update is in progress. The transmitter will have fast beeps during the process. The Status LED on remote controller shows solid green and the beeping sound will stop when the upgrade is completed with success. 6. If you do not have a SD card reader, you may insert the SD card into the gimbal and connect the gimbal with remote controller by the cable to upgrade the remote controller. 7. NOTE: You will only be able to update the remote controller firmware through the DJI GO app from this point onward. The Phantom 3 battery is upgraded during the process of upgrading the quadcopter. The battery upgrade actually starts automatically after power cycling the aircraft. The remote controller may become unlinked from the aircraft after firmware update. Re-link the remote controller and aircraft. The instructions for linking the remote controller to the Phantom 3 can be found on page 28 of the user manual which comes with your Phantom. You can also find the user manual from the Phantom 3 download webpage. Now to finish off, here is a terrific video from Drone Camps RC which takes you step by step through the Phantom 3 firmware update with some great tips along the way. With every firmware upgrade you will also find release notes. These are always quite interesting to read as the release notes tell you exactly the bugs, issues and improvements will the firmware will fix. Here is a few of the bugs and enhancements which the Phantom 3 firmware updates have contained up to the present. A firmware update can add many new features to your drone. 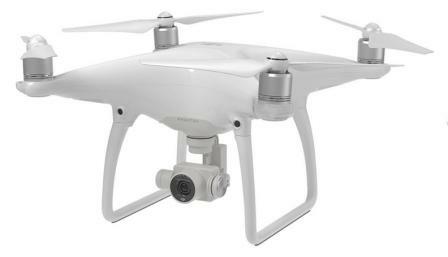 For example on 7th September 2015, DJI had a major firmware update for their Phantom 3 and Inspire 1 drones. This updated added the following excellent features. Having the latest new features and improvements is a major benefit to updating the firmware on your drone. Waypoints: Record a flight path, then tell your Phantom 3 or Inspire 1 to fly along the same path repeatedly while you control the camera and orientation. Save your favorite missions, customize speed, and more. Point of Interest: Tell your Phantom 3 or Inspire 1 to automatically revolve around a designated object, person, or place in a perfect circle. It’s automatic and you can customize to get the very best shots. Follow Me: (Phantom 3 series only). Tell your Phantom 3 to follow you, and it automatically flies and keeps you in the camera’s view you wherever you go. Home Lock: Customize your flight controls to be relative to you at all times. Flick a switch, and forward/backward and left/right flight will be set in relation to the Home Point. Course Lock: Easily fly along a set path by putting your platform into Course Lock, which sets all flight controls to directions relative to its current heading. With the Phantom 3 firmware update, you have to pay attention to the beeps the quadcopter gimbal and remote controller are emitting during the upgrade. Here is some information on these beeping sounds. I have videos below which will also take you step by step through the update process. Ready to update sound from the gimbal similar to D-D-D-D D-D-D-D. You don’t have to do anything at this point. Fast beeping noise indicates the firmware is updating. This can take up to 25 minutes. Sound is similar to DDDD DDDD. Slow beeping sound when firmware update is complete. Similar sound to D—DD D–DD. At this point you would restart the Phantom 3 manually. NOTE: A long beeping sound means the update has failed. Here are a few signals which show you if the Phantom 3 firmware upgrade has failed. Long beeping sound after the firmware has been updating for some time. Camera indicator light is solid red after the update. After the update, the SD Card will contain a *.txt file where the result will show “fail”. If the Phantom 3 firmware update fails try the following. Download the package again onto a clean memory card. Make sure that you downloaded the correct package for your Phantom 3 and follow the best practices below. Take these steps to insure a smooth firmware update of your quadcopter. 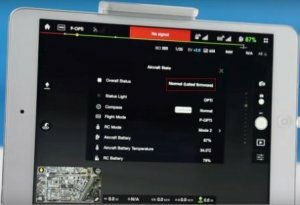 These are great best practice for any firmware update whether it is a drone, cellphone or a computer. If a firmware update goes wrong, there are a number of outcomes. Having to start the process all over again is one outcome. However, if the firmware update had a fix for a mother board or another component and the firmware file was corrupt, you could damage the component. With these steps you will avoid a sloppy or unsuccessful firmware update. While it is not a requirement as part of the update, you might as well give you Phantom 3 a nice close look over. Check all parts to make sure nothing is bent, cracked or dirty. Give your drone a nice gently clean with a soft cloth if need be. Note: View this large selection of of DJI Phantom 3 parts and accessories here. This includes batteries, chargers, cables, cases, landing gear, shell, motors, gimbal, lens filters and much more. Have plenty of space and a quiet area so you can concentrate on the upgrade. You definitely don’t want the family pet to knock over the Phantom 3 or remote controller during the update. Do not perform firmware update while the aircraft is still flying in the air. Only carry out firmware update when the aircraft is landed. Also remove the propellers before starting the firmware update. Have at least 50% in your batteries before starting the update. Best practice is to have fully charged batteries in both the quadcopter and remote controller. This should be formatted for FAT32. The exFAT file systems are also supported for aircraft and remote controller firmware updates. From the shop, SD cards should have the correct file system. It is very important to have a clean SD card to use to download and install the firmware update. SD cards hold huge amounts of data. Now, your Phantom 3 will know exactly what type of file to pull off your card for the update. However, if you had similar file names on your SD card or a virus on your card and your Phantom 3 pulls these files off, then the Phantom 3 firmware is going to fail at the very least. But you could end up replacing hardware in some cases. DJI recommend an SD card with 100 mb free. Definitely, delete or move any older Phantom 3 firmware updates and log files off the memory card. Reformat the SD card with FAT32 file system if you need to. Make sure you have a good internet connection when downloading the firmware update package. If you loose internet connection while downloading the firmware package, it would be better to delete the part of the package which downloaded and start again. The firmware file is too important to go wrong. Turn on Airplane Mode on your mobile device before updating the firmware, as any incoming calls may disrupt the update process. Update this application to V.1.2.0 on your mobile or tablet device before updating the firmware on the remote controller.